Asparagus is a commonly eaten vegetable in different parts of the world and is well known for its unique, savory taste. It belongs to the family of lilies and is valued for its therapeutic properties. It is derived from a Greek word meaning ‘sprout’ and about 300 different species exist all over the world. Let’s see some of the amazing health benefits of asparagus. It not only delicious but it’s also packed with health benefits. It’s loaded with nutrients and is a very good source of fiber, folate, vitamins A, C, E and K, as well as chromium, a trace mineral that enhances the ability of insulin to transport glucose from the bloodstream into cells. The medicinal effect of an asparagus plant extends from its root to shoot and its usage has been tested and proven in scientific as well as indigenous systems of medicine like siddha, Ayurveda and unani. Let’s see amazing Health Benefits of Asparagus here. Asparagus is packed with vitamins such as vitamin C, riboflavin, and folic acid. It not only tastes delicious, but is also a wonderful source of nutrients for a healthy body and mind. Asparagus is expensive, but eating it is really worth as it gives less constipation, less muscle aches, more well-being and a better complexion. 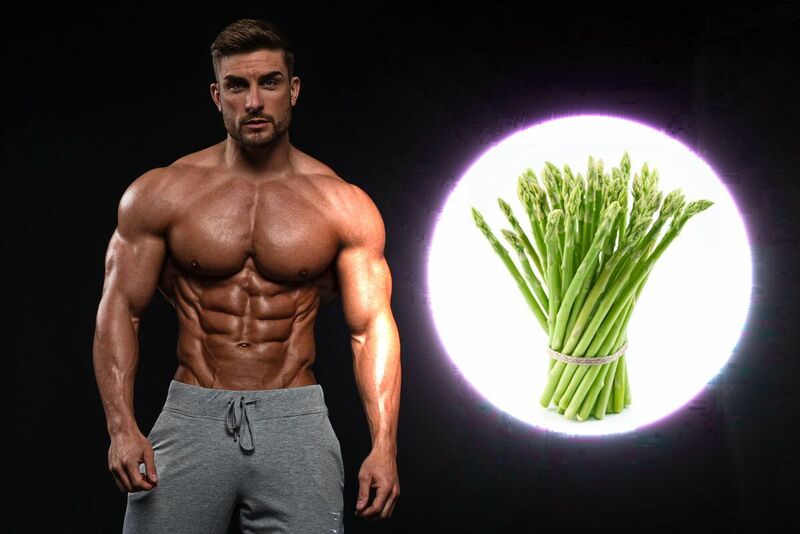 Many bodybuilders use Asparagus the day before or day of a competition or show because asparagus is a powerful food to rid the body of excess water, while still providing tons of nutrients. It is great ‘mood food’, as it is high in folate, a B vitamin which aids in bone health, metabolism, and fights depression. Dieting bodybuilders seem to eat a lot of low-calorie vegetables, but asparagus rarely makes it into their Tupperware. For some reason, asparagus is just not a common vegetable for many muscleheads. It is a proven diuretic, allowing the body to lose subcutaneous water. Also, it is rich in a unique antioxidant called glutathione. Glutathione helps produce hormonelike messengers called prostaglandins, which, in turn, influence growth. Glutathione is also a major player in protecting the liver from damage. Eat several servings of asparagus every week. The most powerful alkalinizer there is: asparagus. It contains Sulphur-rich compounds that dramatically increase body alkalinity. You would need to eat pounds of lettuce or broccoli to get the alkalinizing effect of one pound of asparagus. But asparagus has one added benefit: it contains soluble fiber which lowers LDL cholesterol unlike the insoluble fiber in leafy vegetables and broccoli which does not. Asparagus contains many anti-inflammatory nutrients, such as asparagus saponins and the flavonoids quercetin, rutin, laempferol and isorhamnetin, which all help to combat arthritis, asthma, and autoimmune diseases. 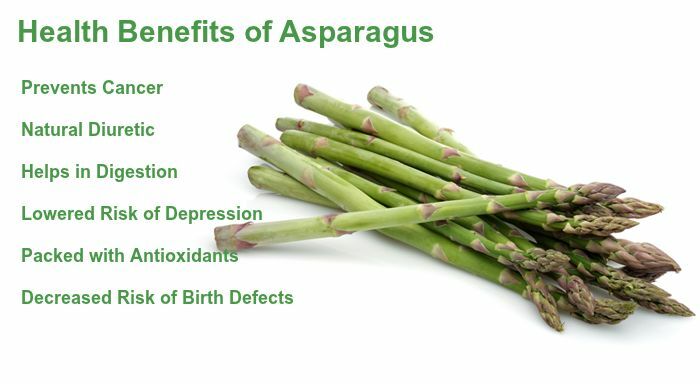 Asparagus is 1 of the greatest all-natural sources of folate, a type of B vitamin that is advised for pregnant mothers. A important amount of folate in the diet regime can support to prevent birth defects in kids. Is asparagus high in fiber. Does asparagus have fiber? Yes, asparagus is high in fiber content. The fiber in asparagus helps to improve digestion because it moves food through the gut. One serving of asparagus contains more than a gram of soluble fiber, which has been shown to lower our risk of heart disease. The three grams of dietary fiber found in asparagus can lower our risk of type 2 diabetes. Insoluble fiber doesn’t dissolve; instead, it’s stiff components scrub the digestive tract lining, removing mucoid plaque, trapped toxins and other material. It is particularlyy rich source of glutathione, a detoxifying compound that helps break down carcinogens and other harmful compounds like free radicals. That’s why it is supposed to fight certain forms of cancer, such as bone, breast, colon, larynx and lung cancers. Folic acid is essential for pregnant women to protect their infants against miscarriage and neural tube defects. It’s one of the top ranked fruits and vegetables for its ability to neutralize cell-damaging free radicals. This, according to preliminary research, may help slow the aging process. Asparagus diet is high in both fiber and water content, which helps to prevent constipation, maintain a healthy digestive tract and lower the risk of colon cancer. Asparagus diet is a brain booster. Folate may help ward off depression, preventing an excess of homocysteine from forming in the body, which can block blood and other nutrients from reaching the brain.